"Because of our PSAP’s unique situation — with seven different agencies on-site in addition to our call takers, all handling calls and dispatching — we needed a system that would be interoperable with each agency’s existing operations methods." — Chris Tucker, HMC 9-1-1 Director. 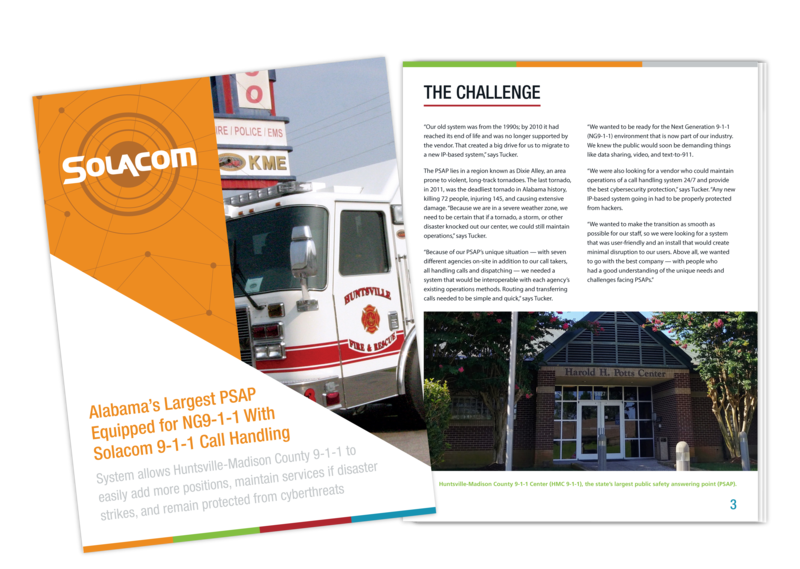 Solacom was able to meet the unique requirements of Huntsville-Madison County 9-1-1, enabling them to upgrade their legacy system to NG9-1-1. Download the case study to learn more about how Huntsville Alabama upgraded to Solacom's Guardian Call Handling solution, which will scale with their growth.